We, Kennamer Collision Center, strive to provide you with the best workmanship and an affordable price. Our mission is to become the premiere collision center on Sand Mountain. With this in mind, we will provide you with the latest technology and a highly trained staff to give you the finished product we know you deserve. Our dedication shows with the true quality workmanship and superb customer service that we provide our customers. 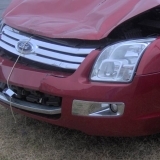 When it comes to auto body repair in Marshall County, AL, Kennamer Collision is the place to go. We know how stressful accidents can be, and we are more than willing to go the extra mile to do whatever it takes to make the entire car repair experience as easy and hassle-free as possible. If it has anything to do with auto body repair, we can do it! Call today at 256-593-9093 for a free estimate.